Our company is creating niche in the field of manufacturing, supplying and exporting one of the most excellent qualities of Corona Detection System. Our range also includes these Corona Detection System out of which corona detection system is one of the most reliable and efficient machine. Superb-OD & Superb-XD are portable handheld daytime corona and arcing recording cameras. Superb models are robust solar blind bi-spectral UV-Visible imagers with high sensitivity to surface partial discharges that differ in their display unit. Either model detects ultraviolet emission in full daylight with high signal to background ratio, from far-off and nearby sources, and is considered as the most effective workhorse. Superb cameras are used for nondestructive testing (NDT), inspecting & monitoring high and medium voltage apparatuses. The imagery provided about existing discharges is used by utilities, heavy industry, mines, data centers, laboratories etc., that need to ensure corona free environment. Ergonomically designed to facilitate extended continuous inspection intervals. A compact bi-spectral Daytime Stills Corona Camera that pinpoints, displays and takes photograph of corona and arcing during daytime. Its enhanced features include: zooming; corona magnification; corona event counting; auto and manual focus; corona color control. Operation is simple: turn on – aim – shoot – store. The output is precise and reliable and contains the relative corona strength. UVolle provides immediate information in real-time of the asset condition and is recommended to be included in every predictive maintenance toolbox. Seeing in the dark could take on a whole new meaning. Scientists at the University of Michigan have created the first infrared light detector that is thin enough to be integrated with infrared lenses. It’s made from graphene. Graphene is a thin sheet of carbon atoms. Considered the world’s strongest material, it can sense the entire infrared spectrum, as well as visible and ultraviolet light. Researchers believe the material can someday give people super-human vision. But graphene has its limits. The super strong material can only absorb about 2.3 percent of the light that hits it. And it can’t capture enough light to create an electrical signal, which is required to be an effective sensor. Faced with this challenge, Zhong and colleague Ted Norris, professor of electrical engineering and computer science, worked with a team of graduate students to design a new way of generating and measuring electrical signals. They did it by shifting their attention away from measuring electrons that are freed when light hits graphene to how to amplify the signal. The researchers looked at how nearby currents are affected by the electrical charges in light-induced graphene. The device they created is smaller than a pinky nail, and has an insulating layer sandwiched between two sheets of graphene. Electrons are freed when light hits the top layer of graphene, which then creates positively charged holes. The electrons slip through middle barrier into the bottom layer of graphene, where a current runs through. Positively charged holes left behind create an electric field that affects the flow of electricity going through the bottom layer. The process creates a way for the researchers to measure the change in electric current, which makes it possible to deduce the brightness of the light hitting the graphene. One of the challenges of infrared detectors is that it gets hot. The researchers say their infrared detector doesn’t require bulky cooling systems, like other detectors on the market. Making a room-temperature light detector opens new doors for such devices. The scientists have not yet created a Infrared lenses prototype, but believe their discovery will likely have military and scientific uses. Their findings were published in the journal Nature Nanotechnology. The Thermal Monocular Camera with IR facility is designed to deliver unmatched detection range performance & image quality. 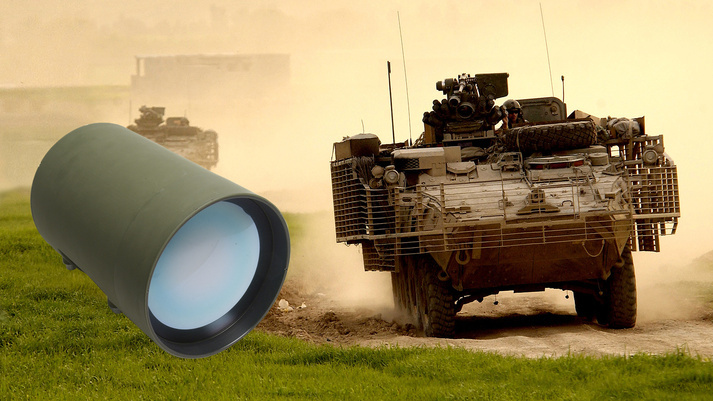 While the Thermal Binocular Camera with IR facility combines multifunctional features that enables target observation in sky, land or sea & the measured results get sent to command system via communication device by connecting it with preformed interface. Thermal Imaging uses infrared camera technology to detect differences in surface temperatures. Traditionally, thermal imagery uses handheld thermal imaging cameras for a variety of different uses, and covering large areas is accordingly costly and time-consuming. We utilise the best in UAV mounted infrared camera technology to deliver quality thermographic surveys, quickly, cost-effectively and safely. According to Health and Safety Executive’s (HSE) Hierarchy of Control Measures, the use of UAVs avoid work at height and its attendant risk; it is the safest method of delivering high-level roof and building surveys, and it can yield significant cost-savings when compared to traditional methods of working and access such as scaffolding. Water suppliers across England and Wales have seen great increases in the amount of water leakage across their networks. In 2013, an average of 3,113 megalitres of water per day was estimated to have been lost (that’s over 1 TRILLION litres per year). We have successfully undertaken projects with water suppliers to undertake subsurface water leak surveys using our UAV mounted thermal imaging camera. On cold mornings (0C-2C) any escaped water (10C-12C) is clear on the thermal image. The benefits of using a UAV mounted thermal imaging camera is that it allows survey of large areas in a short space of time and with access typically difficult or inaccessible areas such as rural land. The same UAV mounted thermal imaging technology can also be used to detect subsurface steam leaks from district heating networks. Infrared Thermography is also used to evaluate the condition of building envelopes. With the support of our ITC qualified thermographers’ analysis of exhibited temperature differentials, UAV accurately detect moisture entrapment, delamination, water ingress points and concealed defects – enabling works to be planned and managed with much greater certainty. UAV thermal imaging technology can be used to enhance BREEAM grade advanced building inspections. Typically, thermal building inspectors have trouble obtaining quality thermographic information about the roof and upper levels of facades on building envelopes due to access on and around a site. Thermal imaging of commercial and domestic buildings can help identify inadequate, damaged or missing insulation, and air leaks and moisture intrusion. When the cathodic mesh in a solar panel become defective, the resulting short circuit form a thermal anomaly visible on the outer layer that can be detected by thermal imaging cameras. UAV mounted thermal imaging camera surveys large solar farms more quickly and efficiently than previously achievable, without any of the costs associated with manned access or invasive inspections. 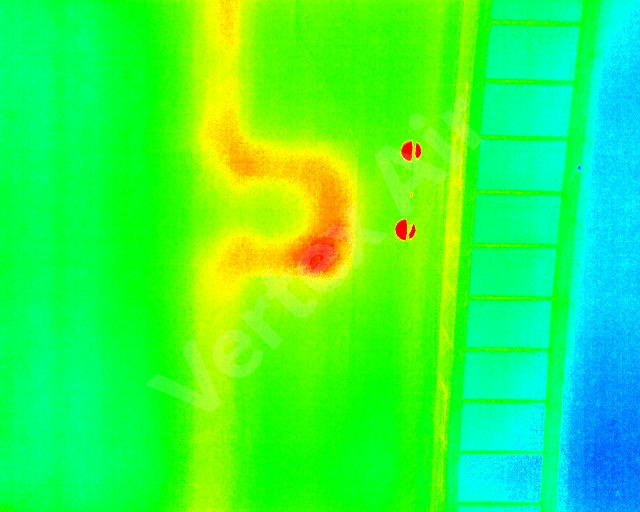 Moreover, when thermal imaging surveys are undertaken on a regular basis as part of a Preventative Planned Maintenance (PPM) scheme, minor faults can be spotted early enough to minimise the downtime of the system and before the defects deteriorate to more a serious condition, thereby reducing both loss of income and the cost of remediation. Underground fires at landfill sites are dangerous and more common than you might think. If not dealt with in a swift manner, they can spread and become even more dangerous. Traditional methods of detection the location of an underground fire involved chartering a helicopter or private plane, which can be costly and add complexity to the method. Our UAV technology efficiently mapped out the whole site, allowing for thermographers to identify hot-spots and give the landfill owner accurate information about the location of the underground fire. 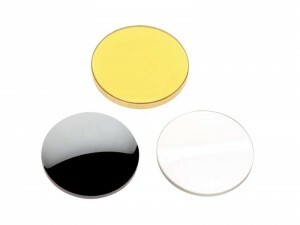 These Plano-convex infrared lenses are constructed with IR lens materials making them ideal for infrared applications. There are offered in Sapphire, Calcium Floride, Zinc Selenide, or AMTIR-1 substrates for a wide variety of IR transmission ranges and properties. The low-cost day and night imaging capability of uncooled infrared imagers significantly enhances the situational awareness capability of an unattended ground sensor. We have leveraged its thermal imaging module to develop an advanced imager, for use in unattended ground sensors and other military applications. Key improvements implemented in the thermal imaging module include reduced operating power, pixel synchronization to an external clock, variable frame rate, a ruggedized mechanical design, a new reduced power standby mode, and electronic zoom,. This paper presents an overview of the thermal imaging module design, it describes thermal imaging module features that enhance the capability of unattended ground sensors, it discusses imaging performance data, and it provides an overview of current thermal imaging module applications. Add a new dimension to security monitoring. See like you’ve never seen before with a security camera system featuring thermal security cameras. Thermal security cameras let you see objects based on the heat they radiate, rather than visible light. This makes them equally useful day and night, and allows them to see through atmospheric obstructions such as smoke, dust, modest foliage and light fog. Thermal imaging can even expose would be intruders that think they’re concealed behind bushes and foliage. High contrast thermal imagery can help reduce the number of false alarms since the motion detection is only triggered by moving heat sources and not by things like debris or moving branches. Whenever a moving heat source is detected you can customize your DVR to instantly send a push notification to your smart device. Combine thermal technology with the best-in-class image quality for next level security coverage.